The British Consulate in Palma de Mallorca will be able to assist you with consular assistance if you have been arrested or involved in an accident. You can also contact them if you need advice on renewing a passport or applying for a new passport. They can also assist you with advice on a fiancee visa or partner visa for Britain or an Education visa which allows you to study in Britain. 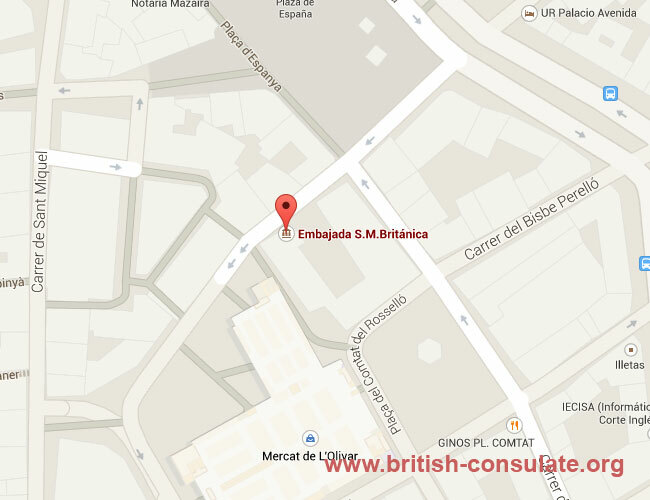 You may also contact the British Embassy in Madrid for assistance if the Consulate is unable to assist you. Speak to the staff at the Consulate with regard to advice on other issues such as registering a death or registering a birth abroad. Their contact details such as their street address, email address and also a map to the Consulate in Majorca has been listed below.